The Weight Bench is a popular piece of workout equipment is one that you will want to have as part of your home gym. Having a weight bench in your home gym opens up the exercise possibilities significantly. It doesn’t matter whether you are just starting out or if you’ve been working out regularly for years, you will enjoy the variety of workouts you can do when you have one. There are dozens of weight benches on the market today. Some are just flat benches and others may have additional features that they are capable of. We’ve detailed the features of these top rated weight benches so you can learn about them and see if one of them matches your particular needs. These top rated weight benches are from some of the most popular names in the fitness industry. They are customer favorites due to their construction, features and reputation. We’ve reviewed them here so you can get detailed information about each of these choices to compare them to your personal workout goals. Having a good quality workout bench in your home will give you the ability to create well rounded workouts that involve all body parts and muscle groups. It doesn’t have to be fancy if you have other weight lifting machines, it can just be a simple bench. With all of the choices available these days, finding what you are looking for is easier than ever…or it can be with the right information. Bowflex is one of the most well known brands in the fitness industry. They have multiple machines and exercise equipment that are customer favorites for many reasons. The Bowflex Select Tech Adjustable Bench is not just a plain weight bench. It has many features that allow the user to incorporate numerous exercise routines into their workouts. The 17 degree decline and 90 degree incline allow for a variety of positions that will work all the muscle groups you are targeting. There is a removable leg hold down brace for the decline position which provides stability when doing decline chest and arm work. This weight bench is designed to adjust to 6 different positions. Measurements of this versatile workbench are 56”L x 26” w x 20” h. Using this well built and sturdy weight bench helps to correct your posture and will aide in stabilizing the body for safe operation throughout the workout. Free weights are an important part of staying healthy and in shape and with this Boxflex weight bench using free weights will be easier than ever. The frame comes with a 30 year warranty and there is a one year warranty on the upholstery. Simple assembly of this weight bench is required. This Adjustable FID weight bench by XMark offers 7 different positions for exercise versatility that will broaden your exercise capabilities. The comfortable back pad and ergonomically designed 3 position seat allow the user to perform many different exercises that will encompass all the muscle groups they want to target. It has a 1500 weight capacity making it perfect for anyone regardless of their current weight. Users can do anything from decline bench presses to military presses with the positions offered. The extra 3” Duracraft padding is tear resistant and sweat resistant too but it still cleans up easily. The foot hold down bar provides plenty of stability and effectiveness. Another benefit to this weight bench from Xmark is the wheels that allow for quick and easy transport and storage. The 11 gauge 3” x 2” steel construction with the scratch resistant powder coating will last for many years with proper care and the skid resistant feet help keep it steady as well as protects the flooring. It is the perfect addition to your home gym that will provide plenty of opportunities to incorporate a multitude of different exercises into your routines. This fully assembled weight bench from body solid comes out of the body ready to use. There are 7 easy adjusting positions that offer the user plenty of flexibility, comfort and variety. This incline and decline bench is perfect for all kinds of barbell and dumbbell exercises. Positions include Incline, decline, flat and almost perfectly upright. The compact design fits in small places easily and the transport wheels make it simple to transport and move around as needed. It folds for effective storing without needing a ton of room. It is easy to get on and off of whether you are a beginner to working out or an experienced weight lifter. The dimensions of the Body-Solid Powerline Folding Weight Bench are 57L x 16”w x 18” h. The sturdy construction makes workouts stable and effective. The padded back and seat and foothold down bar make working out more comfortable as well. Perform chest presses, shoulder presses, crunches and many more. There is a manufacturer’s warranty included on this weight bench from Body-Solid, giving users even more peace of mind. One of the reasons these weight benches are so popular is because they allow the user to work out in the comfort of their own home. They can work out around their own schedules, even if that is in the middle of the night. The versatility of these top rated models are another plus, providing the opportunity to perform many different exercises allows users to create workouts that will target the areas and muscle groups they want to work on. With any purchase that a consumer makes, the objective is to get the features you want at a great price. These top rated weight benches provide that and much more. Continue reading below to learn about weight benches in our buyer’s guide. The buyer’s guide will provide detailed information on the construction, types, features and other points of interest that make up a great weight bench. With this information you will be able to sort through all of the choices and make an informed decision as to the right weight bench for your needs and goals. 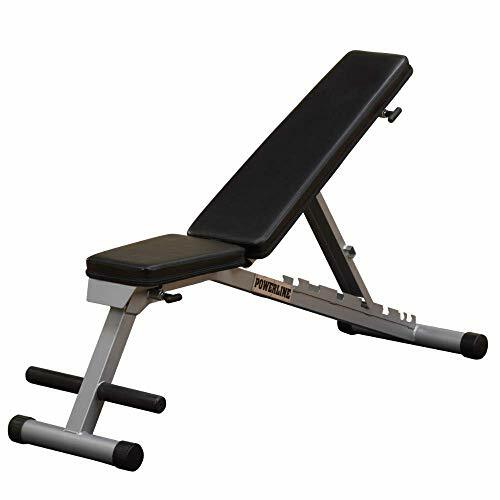 There are a variety of styles of weight benches available to consumers nowadays. Depending on the style there might be different accessories that come with it or it might just be a plain weight bench. Benches that are adjustable are more appealing to the users who want to incorporate many different exercises into their routines. The decline and incline positions allow for more variety and in turn more muscles can be targeted during the workout. Before you even begin the search for the perfect weight bench, you need to know what your fitness goals are. When you know the goals you are setting for yourself, you will be able to choose a weight bench that will help further those goals. Do you want to lose or gain weight? Do you want to improve your cardiovascular health or increase your strength? Once you have decided on your specific goals, it’s time to think about the kind of exercise program you want to do. Since weight benches are typically for use with free weights like dumbbells and barbells, you would need to consider that in your program. Now that you have both your goals and exercise routine planned, you will be able to choose a weight bench that helps you achieve those goals by accommodating the kinds of exercises you want to perform. 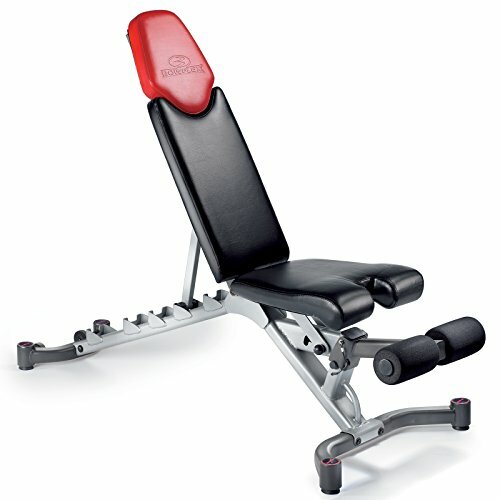 There are several different types of weight benches available to choose from. Since you have chosen your goals and your exercise routine and exercises, you will be able to choose the kind of weight bench you need much easier. Flat Bench – Flat benches are another simply designed weight bench that is good for dumbbell work and bench pressing with a spotter. They are typically less expensive than the more advanced designs. Be sure to know the weight restrictions on the flat bench before you use it for heavy bench pressing workouts. 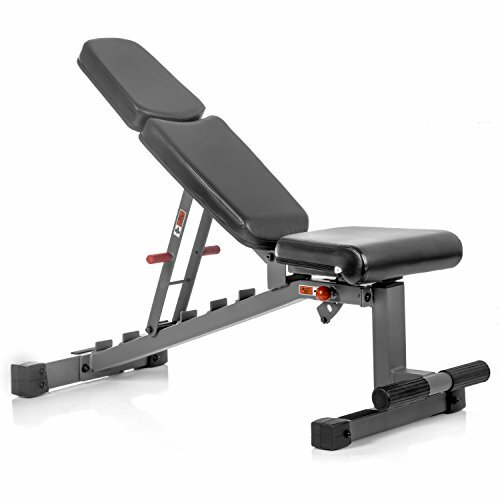 Hyperextension bench – A hyperextension bench is smaller than a flat bench and will incline. It has foam rollers to anchor the feet with while you are exercising. For a complete workout, hyperextension benches are usually used along with other pieces of equipment. Multipurpose bench – This type of weight bench is the most versatile and is usually the most expensive as well. These benches can be used as a flat bench, military position bench, which are 90 degrees, incline and decline. They usually have a multitude of accessories that can be used including leg and arm curl, chest fly attachments, crunch/sit up attachment, and many more types of exercise extensions. Even though there are a lot of different brands and designs of weight benches available, there are fundamental features that a user should look at and compare when it comes to selecting a weight bench. Sturdy and strong foundation – You will be performing exercises on your weight bench so it needs to be stable and not tippy when you are using it. Typically wider benches will have a better base and be less prone to tipping when you are using it. Make sure that the weight benches you are considering are made of durable steel frames and that the hardware is durable as well. Adjustable – Adjustable benches are much more valuable and nicer to use than static ones that don’t have any adjusting capabilities. Benches that have many available positions that they can be changed to, like incline, decline, military and flat, will provide more exercise options as well. Tear resistant material on the seat and back pads – You don’t want the fabric on your weight bench to tear when you are using it. Once these pads tear, it doesn’t take long for them to start breaking down completely and then you are left with a weight bench that has holes in the pads. This will make it much more uncomfortable to use and less sanitary as well when users sweat as the sweat will seep into the foam underneath the tear. Padded Seat and Back – Most weight benches come with padding on the weight bench. This padding can be really thin or extra thick. The padding makes it more comfortable to lie down and do the different exercises. Leg/Arm Curl Feature – Some weight benches have leg/arm curl and extension features where you can use the bench to do these exercises as well. They add the ability to work on additional body parts that a bench without them doesn’t offer. Make sure that you look for the weight benches that offer the leg/arm curl feature that is removable so you can move it out of the way when you are not using it. High Weight Limit – Even if you don’t weigh a whole lot, look for a weight bench that has a high weight limit. The reason you should do this is because a weight bench with a higher weight limit means that it will much more stable than one that doesn’t hold very much. It can be very dangerous to push the limits of a weight bench so be mindful of what the weight limits are and include any weights you are lifting or using as well. Non-skid feet – This is a great feature to have for several reasons. When you are using the bench, if it is on a tile or wood floor, you don’t want the weight bench to slide. You also don’t want it to scratch your flooring. These feet may look like rubber stoppers; others may look like giant wheel covers. Easy to Assemble – Assembly can be one of the biggest pains when it comes to fitness equipment. Weight benches, even the kind that are fully adjustable, rarely require a lot of assembly. Some models even come in the box fully assembled. Since most people don’t like to struggle with putting together complicated pieces of equipment, looking for those models that make it easy are in your best interest. Easy to Move/Store – Some weight benches are able to be folded completely flat so they slide right under the bed or dresser. Others may half fold and then there are some that don’t change at all and what they are out of the box is what they are all the time. If you need a weight bench that allows for small spaces and not much storage, look for those that advertise they fold flat or fold up some other way. A Good Warranty – Some weight benches have lifetime warranties on the frames but be sure to research those warranties because it will not usually cover the material on the bench at all. Most benches will have maybe a one year warranty on the material against tears or defects. Warranties are important but they can have rigid stipulations sometimes so be certain that you know what the terms and requirements of the warranty are when you make your purchase. If the warranty requires registration of the weight bench, be sure to do that. There are a lot of different weight benches for different needs in today’s fitness market. If you’re just getting started working out and you don’t know a lot about the different exercises, you may be better served by the flat bench. If you have some experience with weight lifting, you should be just fine with a model that has some accessories and features that allow for additional exercises. Research the brands, the specifications, the features and the warranties of the weight benches you are interested in. The top rated weight benches we reviewed here can take the hassle and worry out of choosing since we have provided all the information you need to know about them. When you have the right information under your belt, you will be well equipped to sort through all of the styles and models and come up with the weight bench that meets your goals, your exercise needs and your budget.